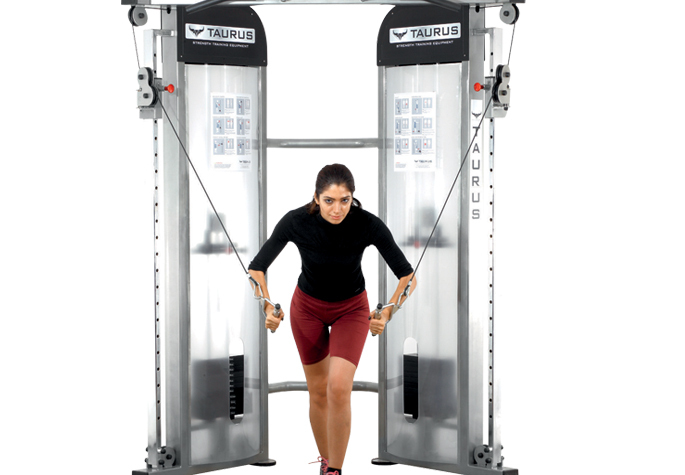 The Dual Adjustable Pulley comprises the entire elements users look for – ease of use, biomechanics, safety and superior design. The exercises are performed with the user positioned between the two columns. Resistance is provided by the two weight stacks connected to the upper and lower cables of the columns. These cables can be attached to various accessories and handles. 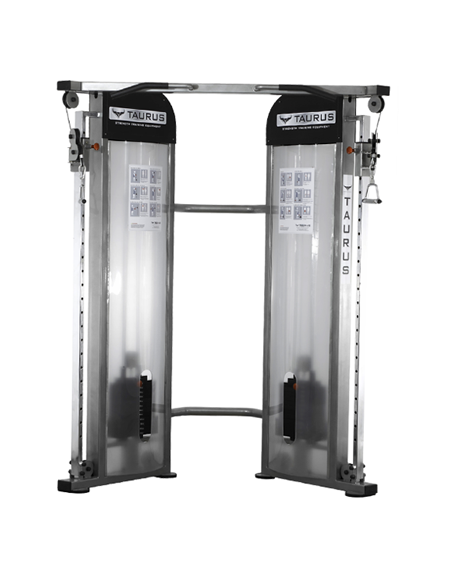 Several training routines are possible on this versatile equipment. 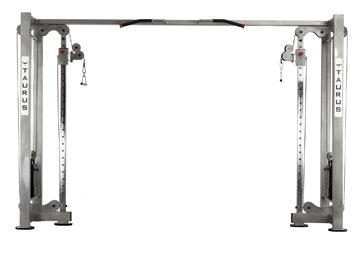 Users can perform exercises with a weight stack, use pull up bars with a multi-angle grip and work with suspension training accessories that can be fitted to the bridge.